Age 16+ and available to purchase 26th March -13th April 2018! Live Better and Spring Into Fitness your way with access to all YMCA health and fitness facilities. Join one YMCA and gain access to all our leisure centres on the Fylde Coast!! Check Out Our Kid’s Easter Activities & Holiday Clubs! Don’t struggle for low cost ideas to keep the kids entertained and active throughout the Easter Holidays. 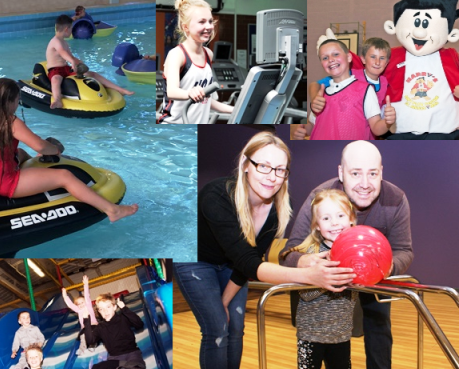 At the YMCA Fylde Coast, you will find everything from splashtastic Swimming Activities and fun-filled Holiday Clubs to Air Skate Park and YMCA Bowl offers. Click here for more information regarding all our action packed kid’s activities and holiday club. Sport Relief is returning from Saturday 17th to Friday 23rd of March and there are more ways than ever for you to take part, feel proud and help us change and enhance lives. YMCA Fylde Coast will make this a little easier for you to get involved by hosting a variety of fundraising events and activities for all the family to come along and enjoy. We would like to let you know about some important changes to our prices. We value our customers here at YMCA and we never hide any price changes from our members. To facilitate the impact of rising operational costs and natural inflation, we have to reflect this through slight price changes to some areas of our programme. Therefore, a number of price changes will come into affect from and following 1st April 2018.